Not much springs to mind about this title-page image in terms of potential commentary fodder. So, today, here’s an excerpt from a recent interview that discussed upcoming Empowered material due out in the first half of 2017, including both vol.10 of the regular series and the new three-issue miniseries Empowered and the Soldier of Love, featuring art by Special Guest Artist Karla Diaz. 2) Given the changes in the comics market since Empowered began, do you feel like you were a little ahead of the curve? Overtly tackling some of the themes that your book tackles seems like something that would be an easier sell now than ten years ago. Five or so years ago, Empowered was unsuccessfully pitched as a TV series. To be honest, I very likely escaped disaster thanks to that failure, as I suspect the TV version that was pitched would, if it had been made, have gone so far afield from the comic as to be essentially unrecognizable. Ah, but at the time I was unquestionably carried away by the prospect of a TV adaptation, though not by greed as such—not that much money would’ve been involved for me, I should note. (No, really!) Rather, during a time when DC wasn’t doing much with Batgirl or Supergirl, and well before Marvel’s recent “superheroine renaissance,” I was entirely too thrilled by the prospect of my own arguably disrespected and disreputable superheroine potentially making strides where corporate-owned heroines seemed to make none. 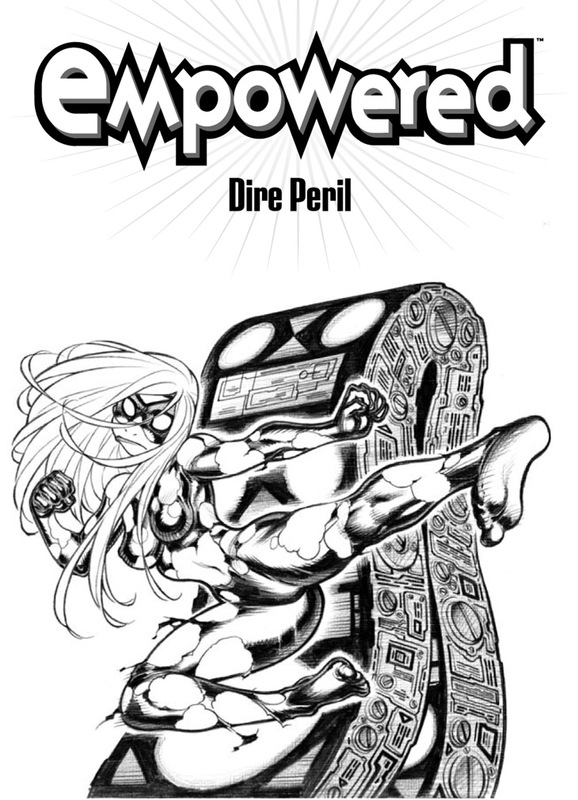 As of Empowered vol. 9, we now get more orders for the series in the “book market” of bookstores, Amazon, etc. than in the direct market of comics retailers. That’s partly a good thing, as our orders for Empowered have been trending nicely upward in the book market, but also a not-so-good thing, as Empowered orders in the direct market have been trending downward at the same time. The dreaded phenomenon of “standard attrition” that inexorably whittles away at the order numbers of “floppy”-format comics as a series progresses also applies, it seems, to volumes in a graphic-novel-based franchise like this one.